One of the major benefits of artificial turf is that it is very difficult to damage. And when you call on Turfix from the get-go for proper installation and maintenance, you can expect your artificial turf sports field to stay in pristine condition for years—no matter how many go-getter, hard-hitter athletes earn their stripes on it. But unfortunately, even the highest-quality and best-laid artificial turf isn’t 100% indestructible. Over time, artificial turf fields can stretch and contract with changes in weather and after years of heavy play and wear and tear and it is common for small repairs to be needed. 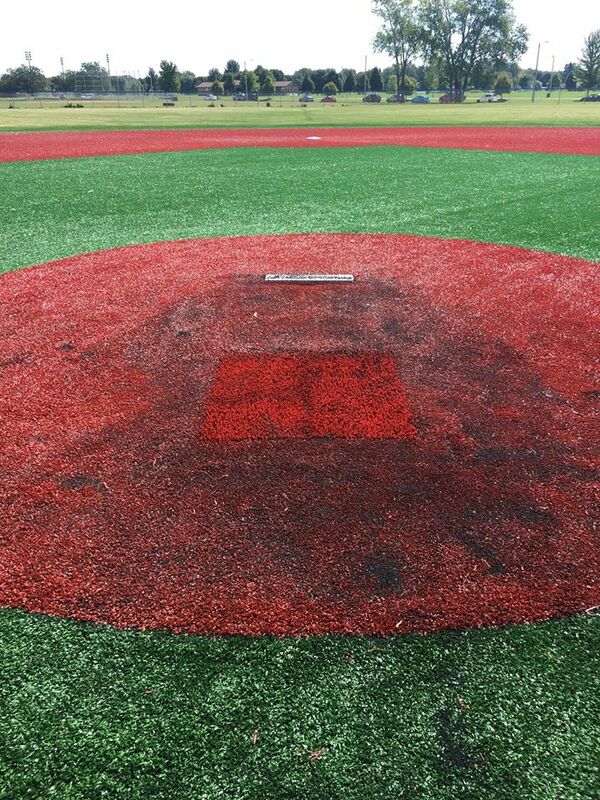 Damaged, ripped, or overused—we can fix your field! Turfix offers premium repair services provided by in-house, certified and trained professionals. Often times, Turfix repairs your turf within 24 hours! The repair and restoration programs provided by Turfix adhere to the high standards set by the Synthetic Turf Council. In addition, each member of our repair team is certiﬁed and has undergone extensive training, including hands-on experience. Each visit to your field, whether for maintenance or repair, will include a complete report with pictures detailing the condition of all aspects of your turf ﬁeld to keep you in the know. When you have Turfix on your team, you will stay ahead of the game because Turfix will also locate any issues that may become problematic in the future and handle it before the damage happens. Call Turfix soon as you see damage! You can also check out our services page for a more in-depth look at the types of repairs, restorations, and replacement services we offer. Contact Turfix today if you have any questions—we are experts in our field!